At the Springfield Plateau Grotto, our members average 200 wild cave trips per year, not only in Missouri, but also in Arkansas, Oklahoma, Kansas and other states. Caving trips, both confirmed and tentative, will be posted here as plans come together. If there is a cave you would like to visit, please contact Matt Bumgardner to inquire about arranging a trip. July 13 or 14 – Coincidence Cave survey. Contact Jon Beard, if you are interested in helping. July 15 – Check sinkhole near Nixa. Contact Treavor or Jon, if you would like to participate. July 16 – Restoration, Gilbert Cave. If you would like to help send Jon an email. 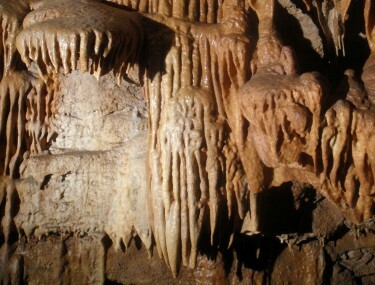 July 18 – Visit cave near James River with Mike Slay 10 a.m, Bat harp netting at Cobb Cave, 6 p.m. Contact Jon if you would like to take part in either activity. July 20-22 Buffalo National River Survey Weekend – Surveying will most likely be done in Fitton Cave and smaller caves with in the Park. Please send an email to Treavor Bussard, if you would like to take part in the weekend. Watch a video of the February 13, 2016 Expedition to Carroll Cave in Camden County.